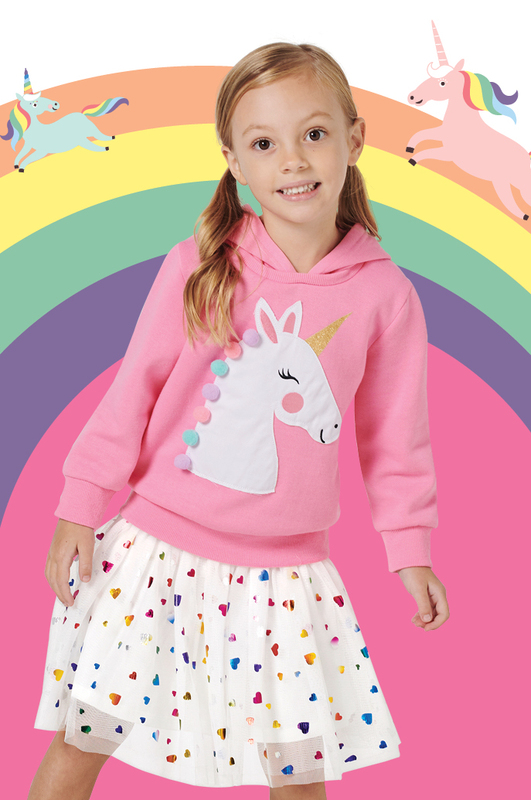 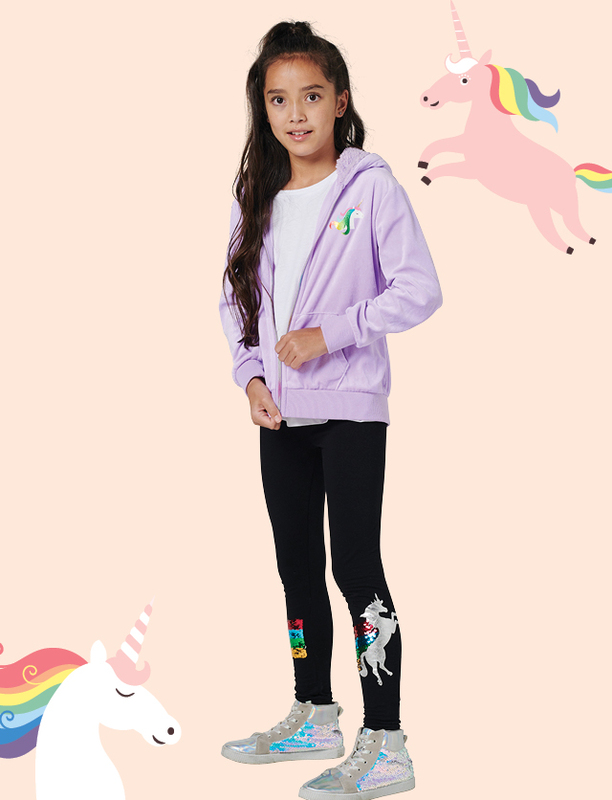 With National Unicorn Day just around the corner, add a little enchantment to your outfits with our wide selection of magical must-haves. 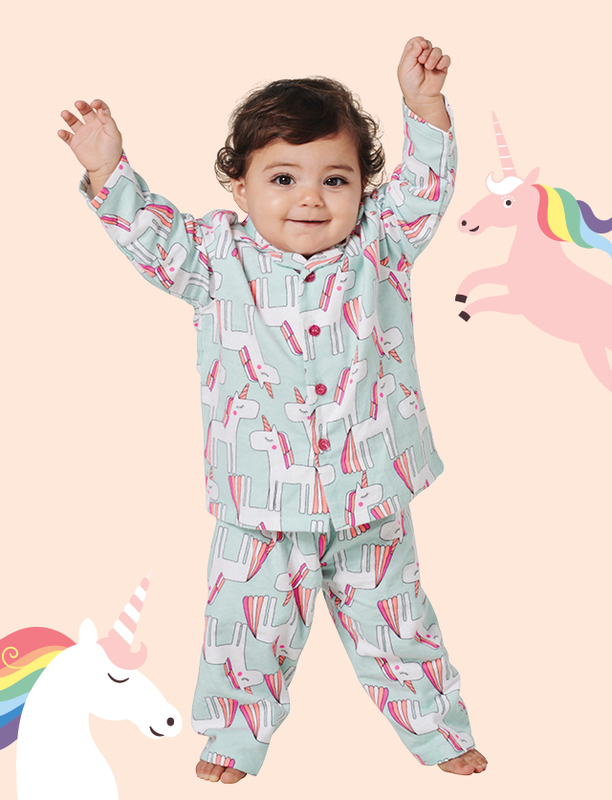 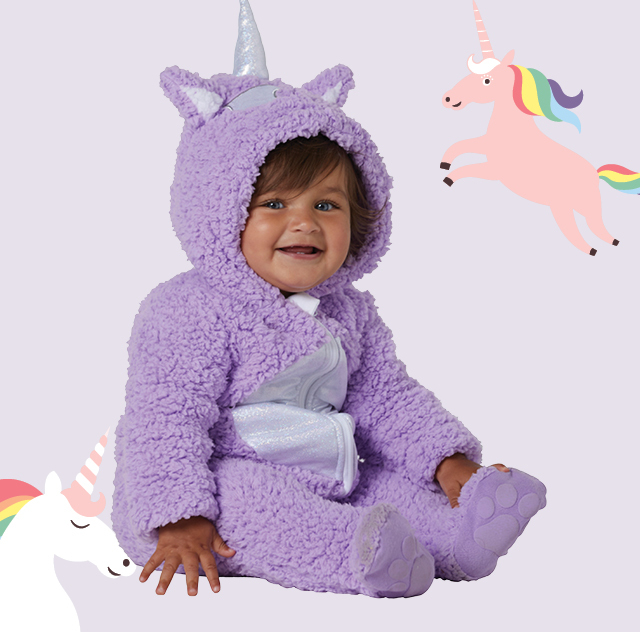 From beautiful baby rompers and comfortable kids clothing to women’s matching sleepwear sets and onesies, we’ve everything families need to celebrate their favourite mythical creature in style. 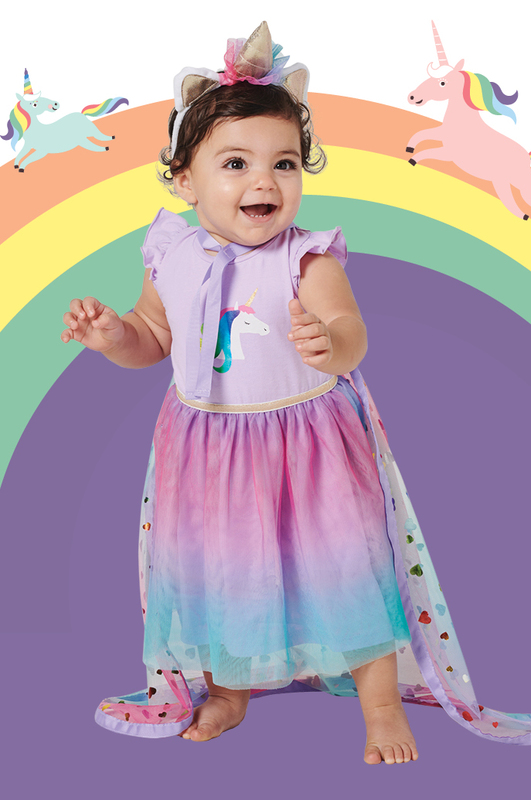 As Dr. Seuss says, fantasy is a necessary ingredient for living! 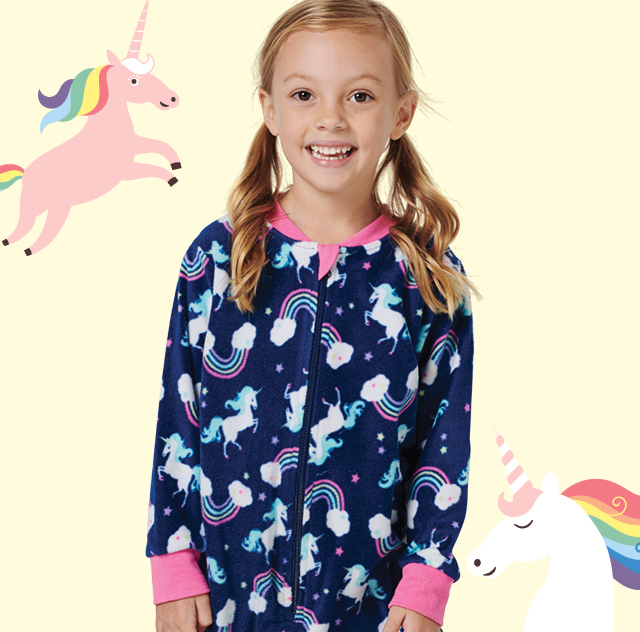 Send the little ones to bed in sleepwear sets that foster fantastical thoughts and dreams or dress them up in colourful costumes that make celebrating fun. 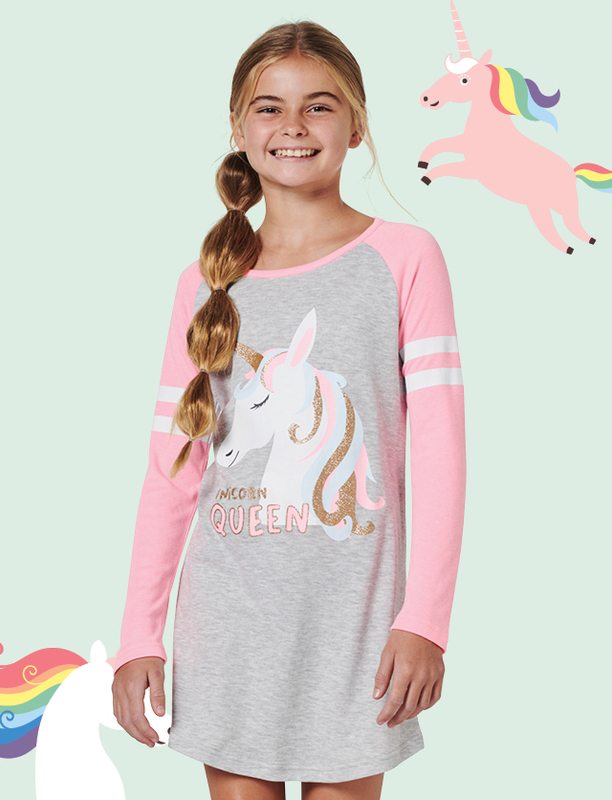 For the kids, choose from comfortable patterned nighties they’ll love showcasing at sleepovers and t-shirts and hoodies that give their casual clothing a fun flair.